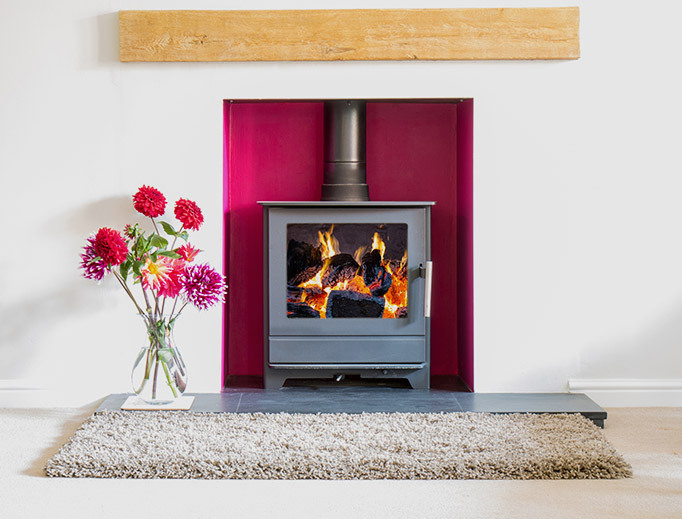 Cosy Stoves & Fireplaces is based in Ashford Kent and specialises in the supply and installation of fireplaces, wood burning stoves and high efficient gas fires and electric fires. We also have in our fireplace showroom a nice range of fire accessories including log baskets companion sets and fans. We do in house designing for chimney flue systems on gas fires wood burning stoves and open fire applications. Established in Ashford Kent our company was formed in 2017 Cosy Fires is a family run business and we thrive and making our customers more than satisfied. We have over 15 years of experience and know how important it is to make you feel welcome in our fireplace showroom. Cosy Stoves & Fireplaces showroom has been designed to give you different options of fireplaces for your every need. For examples of hearths we have given you a selection of granite hearths, slate hearths and reclaimed bricks, Including a limestone fireplace. Looking for a beam to finish off your recent installation of your wood burning stove or maybe an addition to your fireplace no problem we have a range of beams on display. Including our popular Geo cast beams which are made of a non combustible material meaning they can be fitted much closer to the log burning stove or multifuel stove. Come into our Fireplace showroom today to view our selection of wood burners, log burners and multi fuel stoves in Ashford Kent. Our fireplace showroom in Ashford Kent has a wide range of wood burning stoves & multi fuel stoves, gas fires & electric fires. At cosy stoves & fireplaces our aim is be able to provide every single heat source so you know everything can be chosen under one roof. Our Range of wood burners go from contemporary styles to the much more traditonal multi fuel stove. Fireside accessories, logs, smokeless coal all sold in our fireplace showroom so come down to view our great range of fireplaces and wood burning stoves in Ashford Kent.